Hi everyone! It's been way too long:) I took a bit of time away from the craft table, and I'm so excited to jump back in! I hope to have a bunch more cards to share in the coming weeks, starting with this card! We've gotten a ton of snow here in Northern Virginia, and as beautiful as it is, I'm ready for Spring! 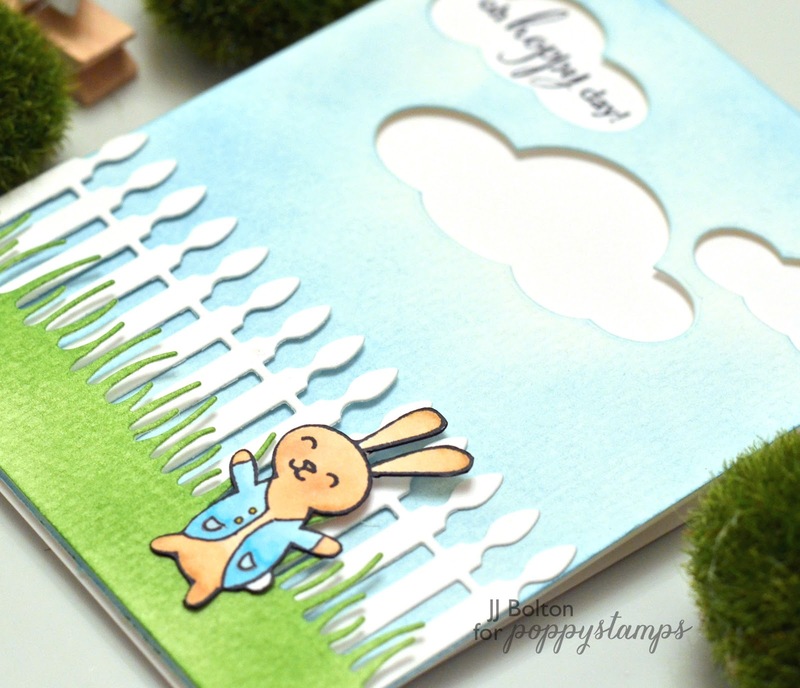 So today I put together a Spring scene card using a bunch of my Poppystamps dies and stamps! 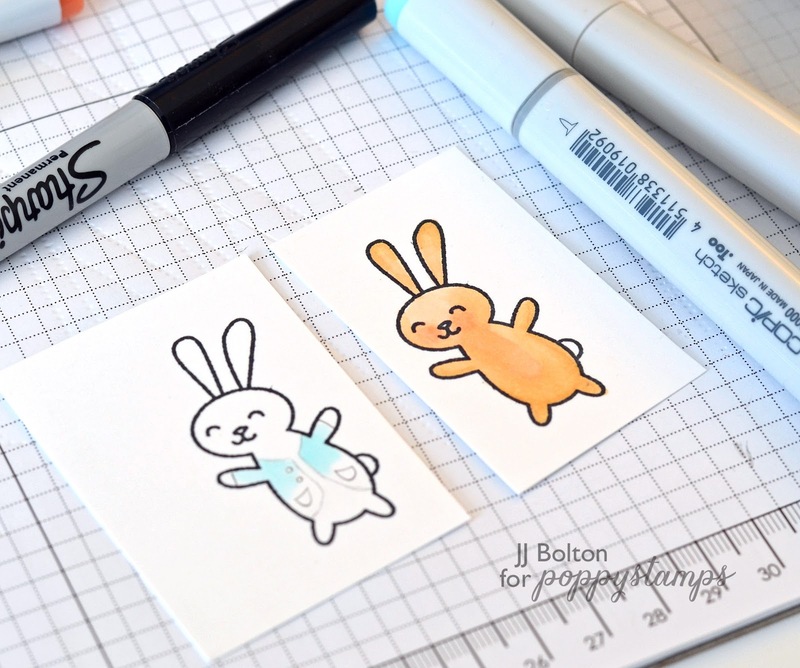 After fussy-cutting my bunny, I went to work on the background scene. I started out by creating the sky background with the reverse cut clouds. Then I cut the fence and grass pieces. For the grass and sky, I wanted a bit of texture, so they are cut from watercolor paper. The rest is just white card stock. The last step before finally assembly of the pieces was to add the sentiment. Sentiment placement can get a bit tricky with these cards that have so many detailed pieces. I didn't want the sentiment to get lost or for it to look too busy, so I decided to put the sentiment inside of one of the reverse die cut clouds. I really like the idea of using clouds dies like that! Very cute card...love the placement of the sentiment. Love how you dressed your bunny, he is so cute!